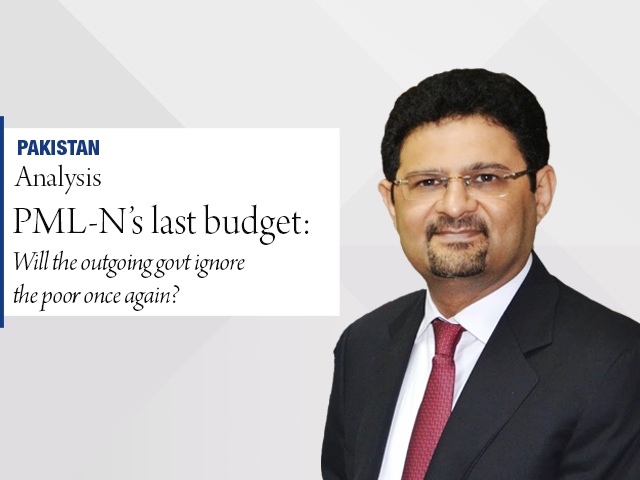 PML-N’s last budget: Will the outgoing govt ignore the poor once again? The outgoing government has little relief to offer to the poor. Miftah Ismail said it’s impossible to make ends meet against the minimum wage of Rs15,000. But will the government fix that in its next budget? Not really. The PML-N-led government will announce its sixth budget on May 12. It will also be their last budget as the government’s term ends May 31. The PML-N, like all the other parties, is making all out efforts to project a ‘pro-people’ image. The timing couldn’t be more politically correct. On April 5, PM Shahid Khaqan Abbasi announced tax reforms. He revised income tax brackets, giving a complete tax exemption to people whose annual income is Rs1.2 million or under. Miftah Ismail focused on these reforms during an interview with SAMAA. What about those living in abject poverty? But are the poor really benefiting from the economic growth? Is the next budget going to target 7% to 8% growth in GDP? “We will definitely present that in the next budget but our mandate is coming to an end, which is why we won’t start new projects,” said Ismail. Instead, the government will allocate funds for existing projects of “national importance” such as dams and interprovincial roads.